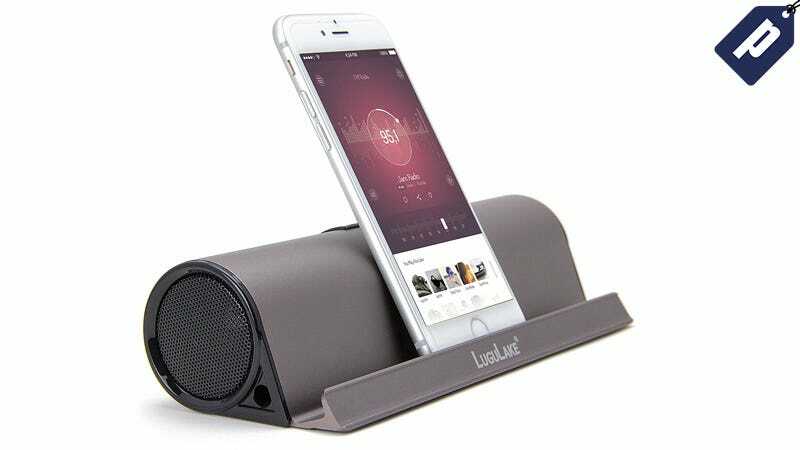 Lugulake’s Portable Bluetooth Speaker Dock is one of the highest-rated products in its category on Amazon, and for good reason - it delivers premium audio, a 10 hour battery life, and 33 ft wireless range. It retails for $90, but Deadspin readers can get one today for just $29 with free shipping included. This portable speaker dock packs everything you’d want, and more. The sound quality is fantastic, with bass enhance technology and dual 3-watt drivers. The 10 hour battery life means you can take this on the go without having to worry about charging. Plus, it props your device up for you to see the screen at the perfect angle. While it normally retails for around $90, Lifehacker readers can get one today for just $29, with free shipping to the US included (1-2 week arrival time). Grab yours at the link below.